Singapore is well known as an urban city, with tall buildings and modern shopping malls. But visitors to Singapore can also look out for some nice green outdoor activities in nature as well - one which is The Southern Ridges. These Ridges stretch through three parks, covering Mount Faber Park, Telok Blangah Hill Park, and Kent Ridge Park. You can take walks through many of its trails, cycle along its paths, or just relax in various sections of the park, eg. 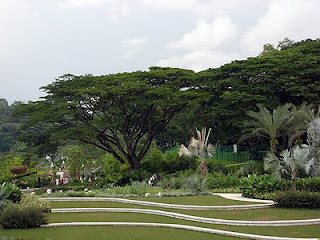 HortPark, a gardening paradise for horticulture enthusiasts. 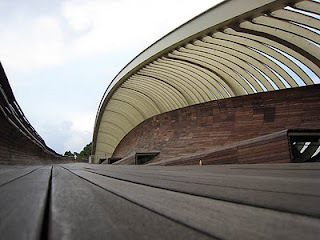 Besides HortPark, other attractions include Alexandra Arch and Henderson Waves, two bridges that links many of the walks from the various sections. 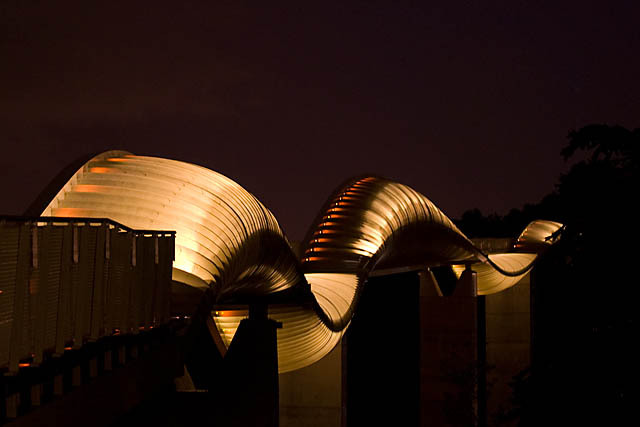 These bridges are architecturally unique and in the evening, they're beautifully lighted to accentuate its form. The lights on Alexandra Arch actually changes colours through the night! My favourite would be Henderson Waves though. 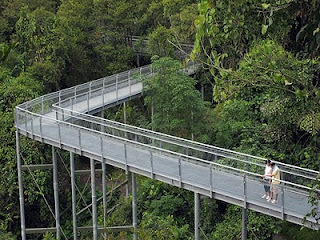 It is Singapore's highest pedestrian bridge (36m) that connects Mount Faber Park to Telok Blangah Hill Park. It's structure is truly unique - constructed to follow the form of a mathematical function, its curves or "waves" is quite an achitecture wonder. The views atop the bridge is wonderful and it's no wonder that it's becoming a favourite outing for families and tourists alike. National Parks Singapore provides more details, including maps and walking routes. 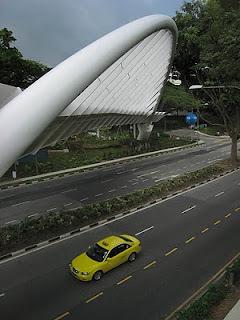 Check out the Southern Ridges to see another side of Singapore!